Continue reading "GLASER HITEC SCREW CHUCK INSTRUCTIONS"
Continue reading "HOW TO USE YOUR QR SYSTEM"
My name is Al Geller and I live in the Ventura County, California. 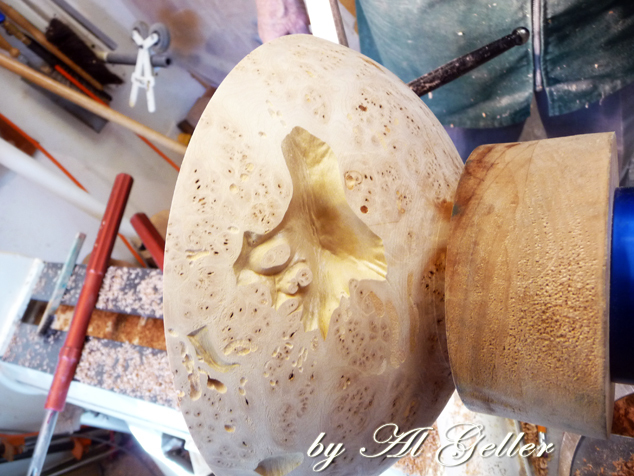 I belong to the Channel Islands Woodturners, a woodturning club originally established in October, 2002. I first met Jerry Glaser in the early 1990’s at the Glendale Woodturning Guild when he gave a talk about metallurgy, sharpening and his tool designs. My first Glaser Hitec gouge was a Bob Stocksdale gouge. Jerry later came out with his Hitec CPM10V (A-11) tool steel gouges and I purchased several of these. My all time favorite is still the 3/8” fluted bowl gouge. In the mid 1990’s Jerry invented his stainless steel screw for screw chucks. These were to be carefully mounted into a wooden block by the wood turner and made holding wood easy and safe. I have two of these chucks. You can now buy a universal type Glaser screw chuck to mount almost any size of wood blank for your lathe. They are a great improvement. During the past few decades there has been a revolution in woodturning tools, from lathes and chucks to gouges and boring bars. 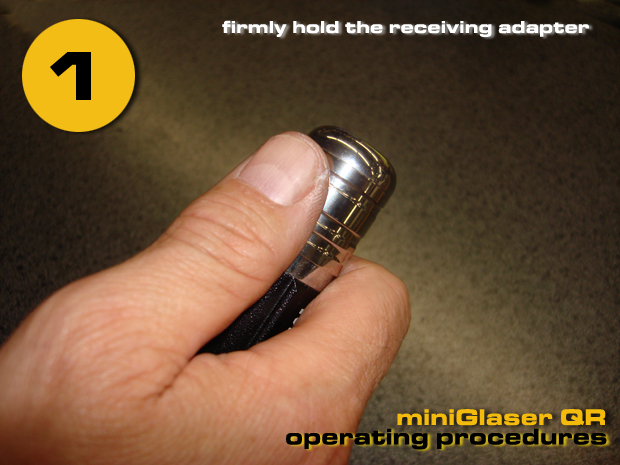 As a result, what once was deemed difficult or even impossible to turn has become commonplace. In the area of hollow-vessel turning, two innovators stand out. The first is David Ellsworth, who in the 1970s began turning vessels with small openings. His first tools were scrapers he had bent with a welding torch. Later he developed longer-handled tools with swivel tips that held machinist’s tool bits. These offered more control and safety and could produce a wider variety of enclosed vessel forms. Jerry Glaser, an aerospace engineer and hobbyist wood turner, took the ball from there, working to reduce the long tool’s tendency to catch and jerk downward. He came up with a double articulating tip that swivels to place the cutting edge at the tool’s centerline. Other variations continue to emerge, making new vessel forms possible. I use a Glaser-designed boring bar for my hollow-vessel work. 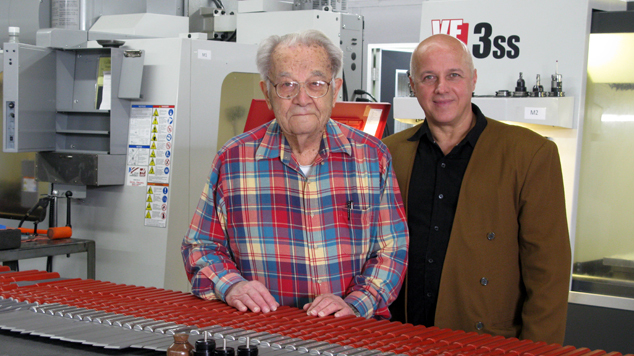 Continue reading "Jerry’s Accomplishments as a Toolmaker"
Working side-by-side with a legend! Continue reading "Working side-by-side with a legend!"